Ships in 9 to 10 business days. The RHF1109 Comp. 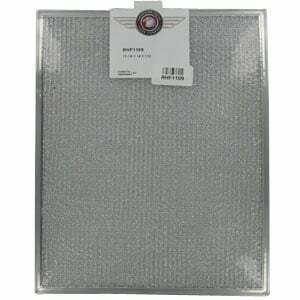 Range Hood Air Filter, from the American Metal Filter Company, is a compatible replacement for the GE WB2X8476 aluminum range hood filter, as well as the Broan 99010243 and Jenn-Air 707929. 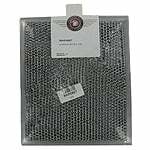 This microwave filter can be used in ducted and ductless range hoods and over-the-counter microwave ovens to remove grease from the air. 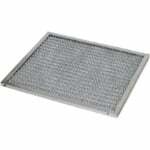 This compatible GE range hood filter features an aluminum frame surrounding layers of expanded aluminum and aluminum foil for solid construction. 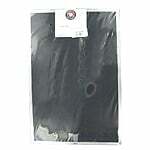 This grease filter measures 11 3/8" x 14" x 3/32" and is washable.